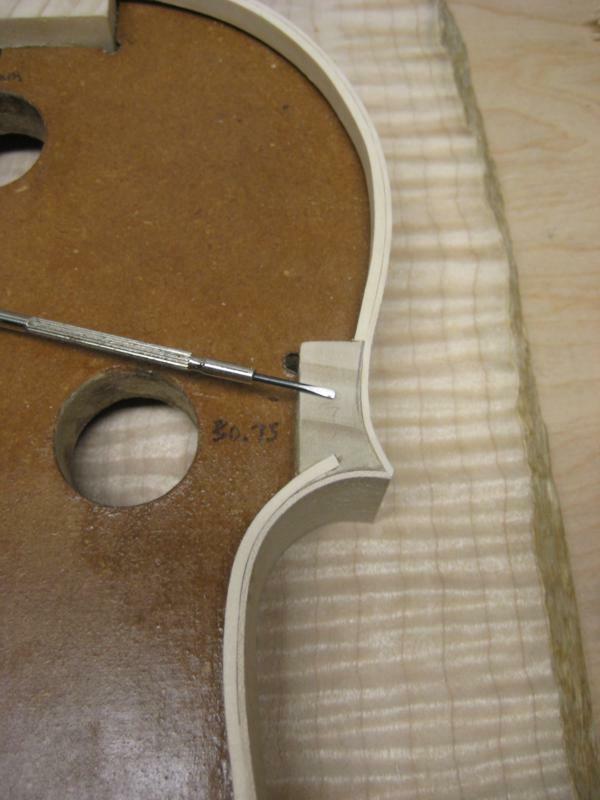 The linings are 2mm thick strips of wood that support the inside of the ribs and give the violin more structure. 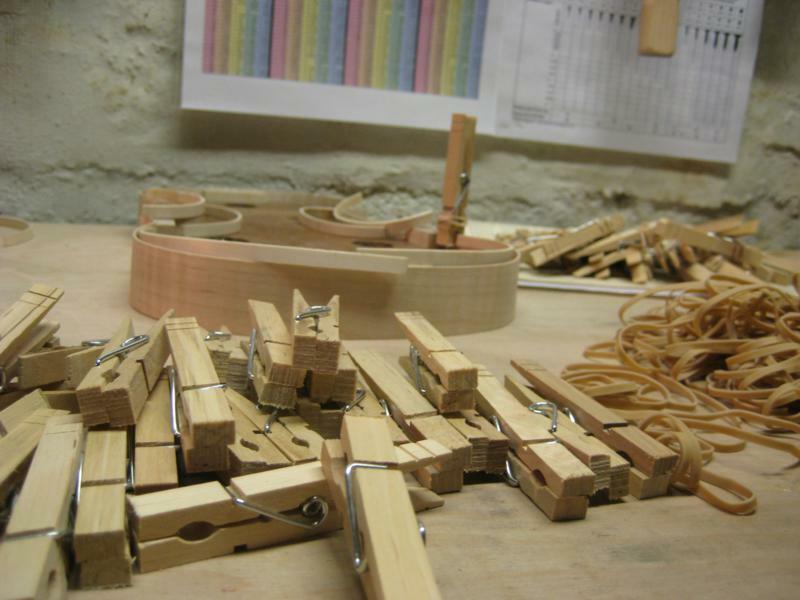 The linings I used were made from the same willow as the blocks, but prepared much differently. 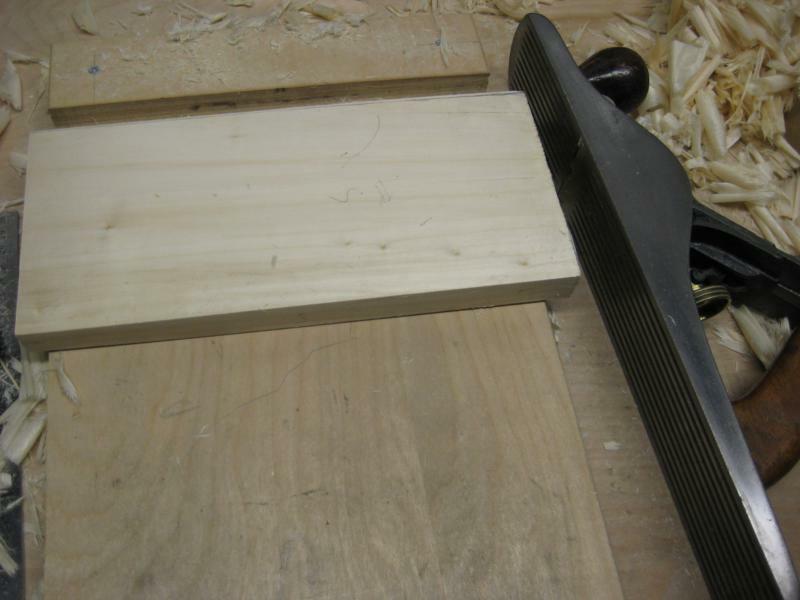 The wood was in the rough, so first I had to square it up before I could resaw some thin sheets off of it. First, I planed down one face and get everything flat checking with a straight edge and using winding sticks to check for twist. Once one side is nice and flat I can joint one of the edges to make it 90 degrees to my flat surface with my shooting board. At this point, since I was resawing, I could have stopped and just cut sheets off on the bandsaw, but I was having fun so I decided to make the piece “four square” or a completely square dimensional piece of lumber. To do that first I marked how wide I want my board to be using the good edge as the reference. 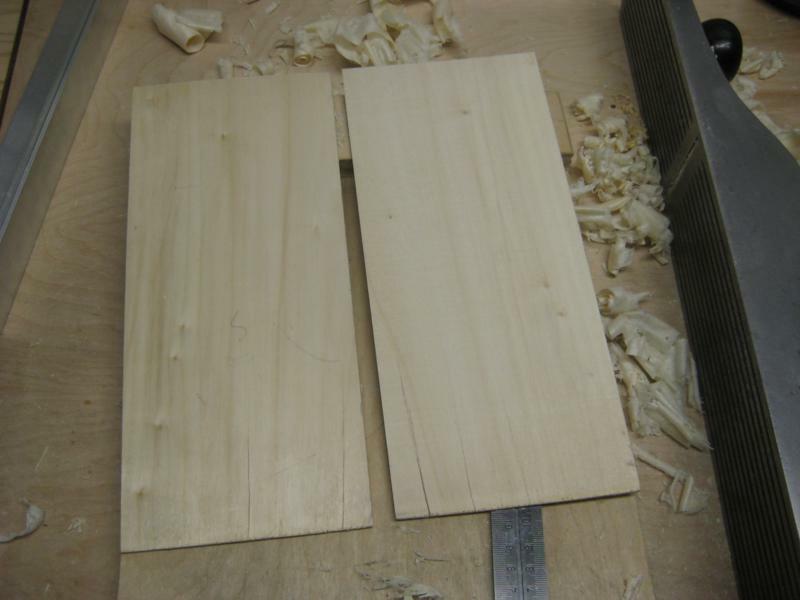 Next, I took the piece to the bandsaw and put the flat face down and the good edge against the bandsaw fence and ripped the piece to a uniform width. 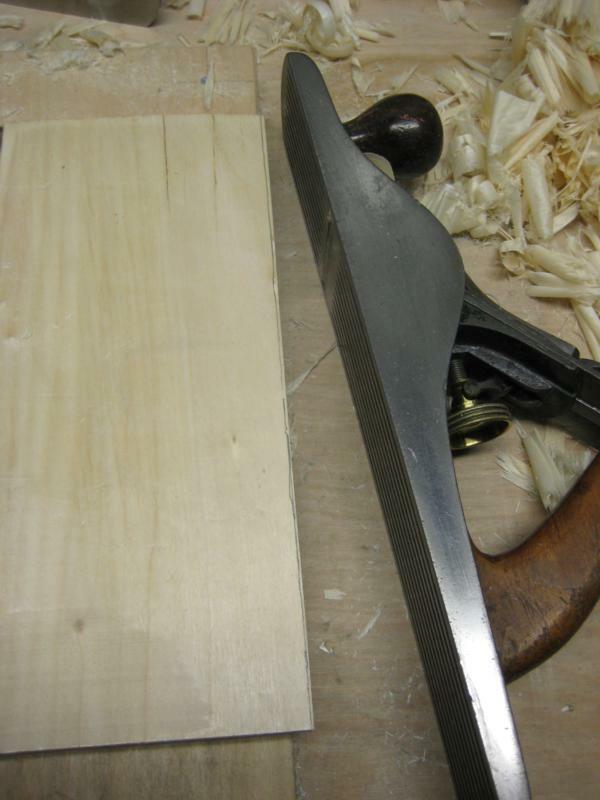 I then cleaned up that newly sawn edge with my plane. Lastly, I need to make the second face parallel to the first face. To do this I used a marking gauge referencing off the planed face and mark the thickness the board will be all around on the edge. 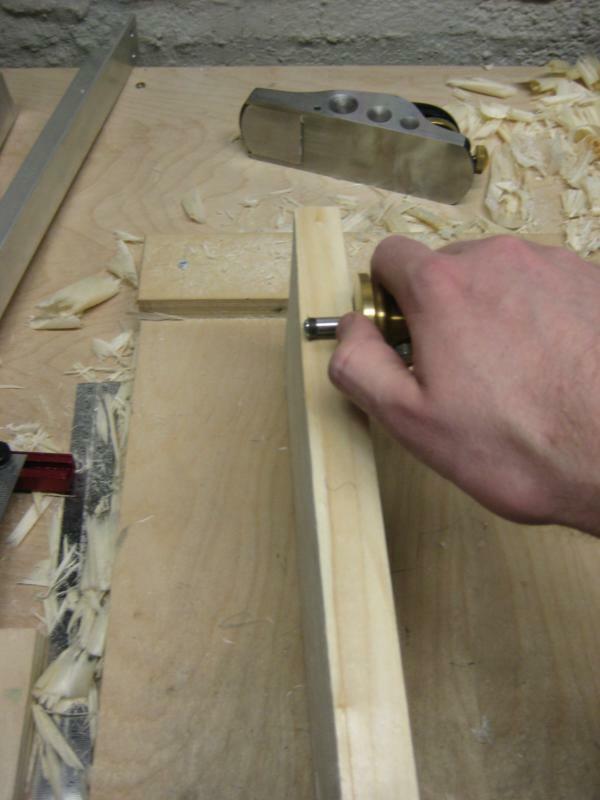 Then I used my jack plane and finally my jointer to take off wood until I got down to the line on all edges. Back to necessary steps. 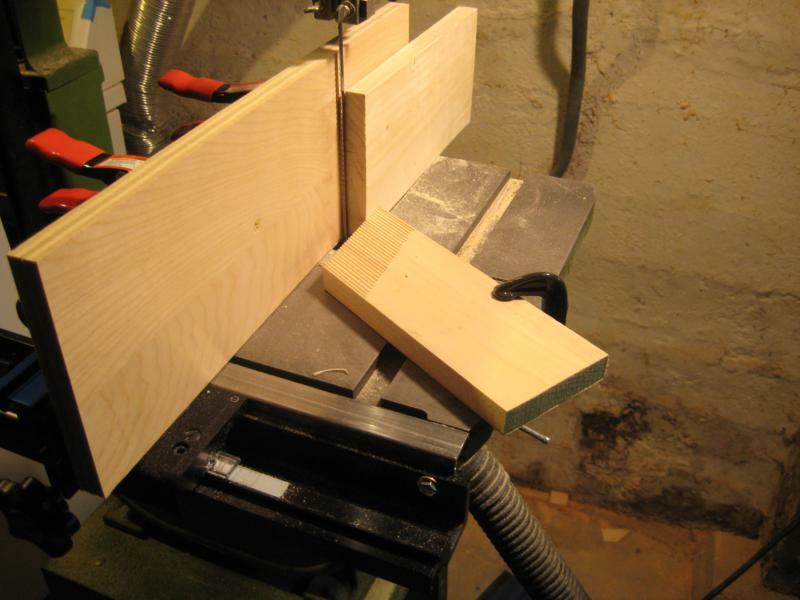 I took the willow board to my bandsaw and resawed off 3mm thick sheets. 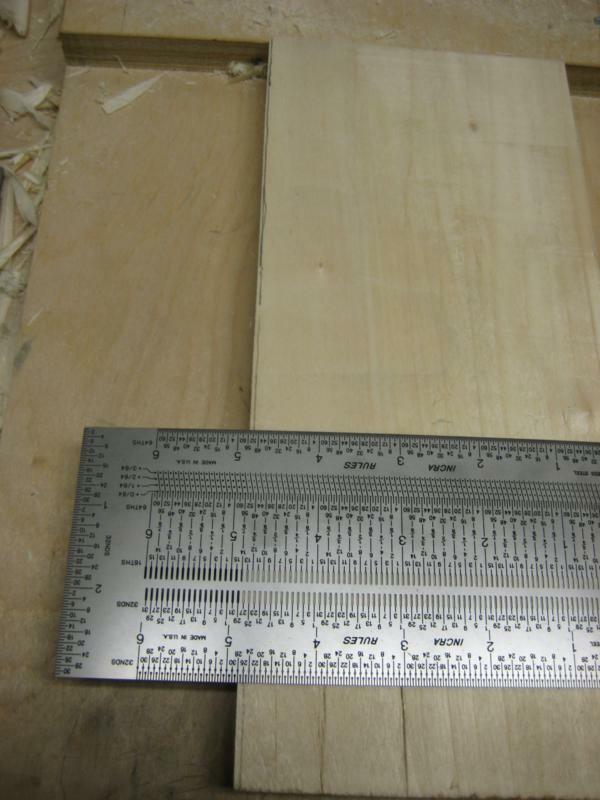 Then I cut the sheet into 8mm wide strips and the appropriate rough lengths. Then I used the drum sander to thickness them to close to 2mm and cleaned them up with a scraper. The linings were bent the same way as the ribs using heat gun contraption. 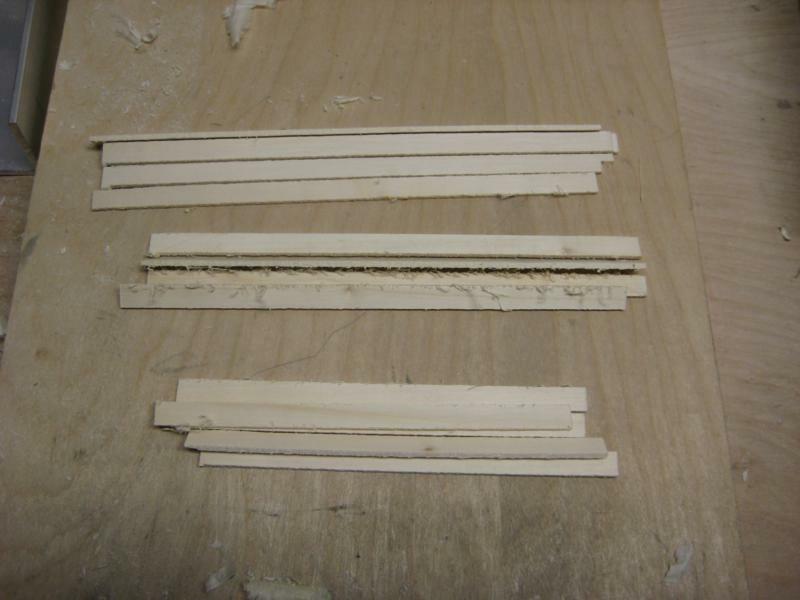 The linings should have been easier to bend than the ribs but the material seemed much more brittle. I made several extra pieces and ended up breaking all the extras by the time I got to the very last lining. Which meant I had to go saw off another sheet and thickness more wood all over again. At this point I had a little melt down and took all the broken linings and snapped them into tiny pieces and threw them as hard as I could into the trash to teach them a lesson. The last lining went very smoothly (probably because it bent in fear). I forgot to take a picture of all the bent linings, but you can see some sitting on the mould in the background of the next artsy picture. 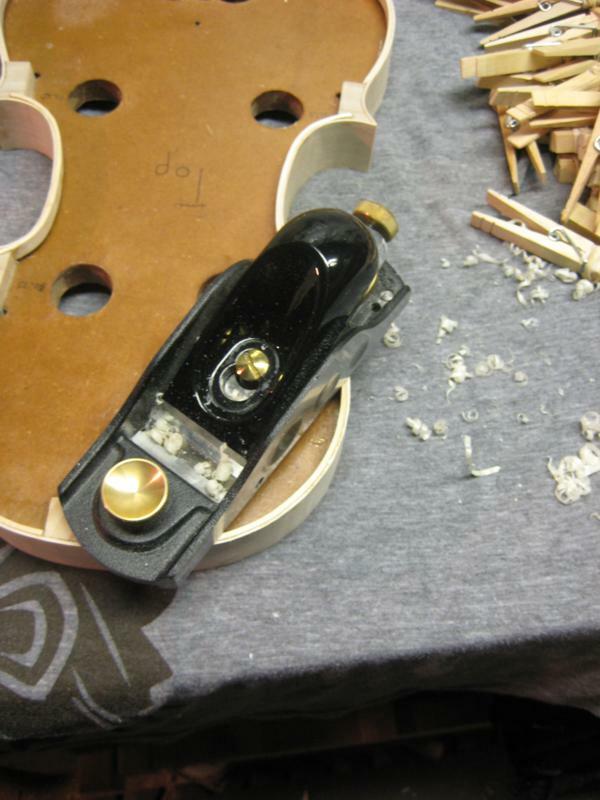 For the linings in the c-bouts, a tiny mortise is cut into the blocks to hold it. To do this I first used a small saw and cut the edges and used a tiny screw driver that was sharpened as a chisel to chip away the material. Like lots of things on the violin the first two were a little sloppy but I got the hang of it on the rest. 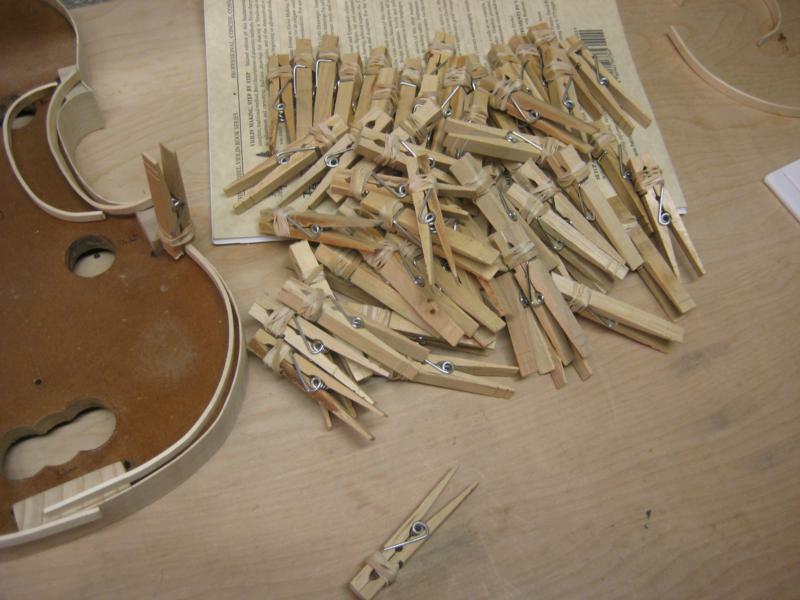 To clamp the linings to the inside of the ribs I used a bazzillion clothes pins that had part of the ends cut off and a rubber band attached to make them stronger. 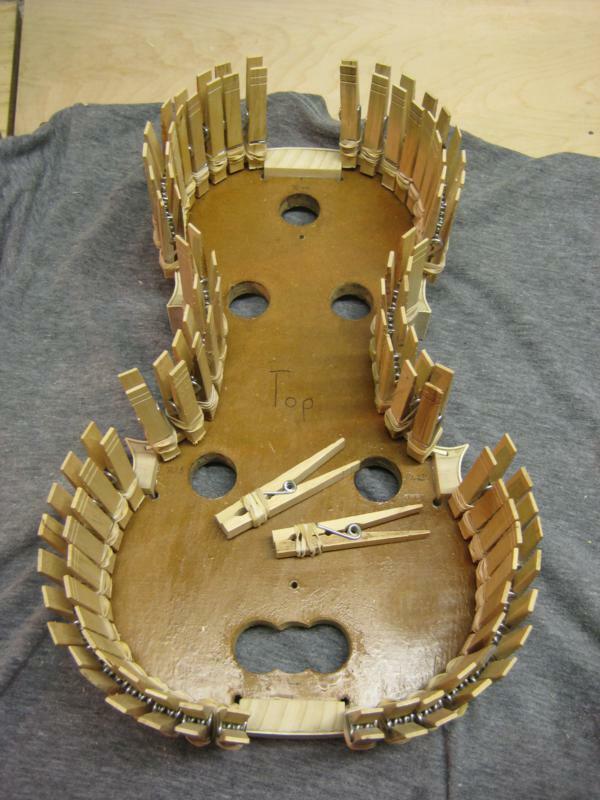 Here all the top linings are glued and clamped. I had to glue them upstairs instead of in my dungeon workshop because of the abnormally cold weather Portland was having, which would have caused my hide glue to gel too fast. Once the glue dried, I trimmed the linings and ribs with my block plane down close to the blocks. I then used the sanding board again and this time leveled the blocks, ribs and linings. // pic of glue sealed blocks?